A wash hand basin has been found on the floor of toilets in a crumbling Skye primary, fuelling the frustrations of parents seeking a replacement school. A wash hand basin has been found on the floor of toilets in a Skye primary, fuelling the frustrations of parents seeking a replacement school. Pupils at an Island primary school had to go without hot meals this week after asbestos was found in the kitchen. Deputy First Minister John Swinney was invited to visit Broadford Primary School to assess the state of the school and to meet representatives campaigning for a new facility in the south of the island. Pupils sent a letter to Scottish education minister John Swinney outlining their concerns about the “state of Broadford Primary School”. 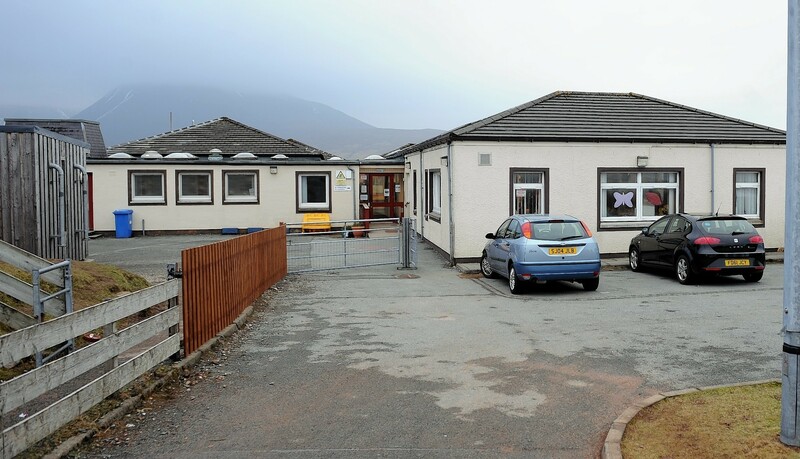 Pupils and parents have branded their primary school on Skye so “disgustingly dilapidated” that it is a serious health risk – and have resorted to shaming Highland Council and the Scottish Government online as a last resort to getting a new building. Pupils at a Highland school will be removed from a classroom described as bringing "shame on the Scottish education system" next week. Replacement of a Skye primary school should go be at the top of the council's priority list because of its deteriorating state, a council said yesterday.